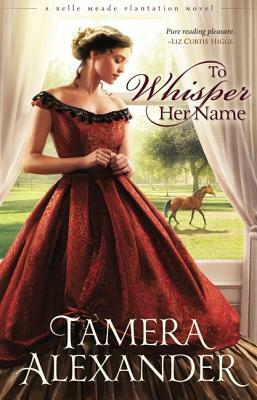 From bestselling author Tamera Alexandercomes an exquisite historical novel set against the real history of Belle Meade Plantation in Nashville, Tennessee, that explores the struggles of real people of the post-war South and the journeys of a man and a woman scarred by betrayal. Olivia Aberdeen, destitute widow of a man shot as a traitor to the South, is shunned by proper society and gratefully accepts an invitation from Elizabeth Harding, mistress of Belle Meade Plantation. Expecting to be the Hardings' head housekeeper, Olivia is disillusioned when she learns the real reason Elizabeth's husband, Confederate General William Giles Harding, agreed to her coming. Not finding the safe haven she expects, Olivia is caught off guard by her feelings for Ridley Adam Cooper, a man who seems anything but a Southern gentleman. Branded a traitor by some, Ridley Cooper, a Southern son who chose to fight for the Union, is a man desperate to end the war still raging inside him. Determined to learn "the gift" that Belle Meade's head horse trainer and former slave, Bob Green, possesses, Ridley harbors secrets that threaten both their lives. As Ridley seeks to make peace within himself for fighting against the South he loved, Olivia is determined to never be betrayed again. Tamera Alexander is the bestselling author of numerous books, including A Lasting Impression and The Inheritance. Her richly drawn characters and thought-provoking plots have earned her devoted readers worldwide. Tamera is a two-time Christy Award winner, two-time RITA winner, and a recipient of the prestigious Library Journal Award. Tamera and her husband recently returned to her Southern roots and now make their home in Nashville.